Property just had a new roof installed and was repainted! Owner may consider a lease option. 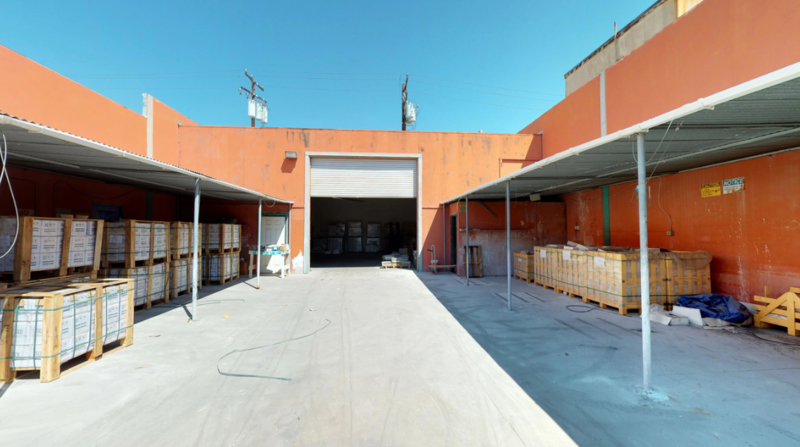 The property is located in the "Green Zone" of Long Beach, allowing licensing for commercial marijuana cultivation, volatile and non volatile manufacturing, distribution and testing (buyer to verify). This sale offers the opportunity to purchase a port-adjacent, heavy industrial property in an MM approved location suitable to many aspects of the cannabis industry. The subject property consists of one parcel that measures 28,086 square feet. The site has been built with a total of 23,193 square feet, with approximately 1,800 sq ft of office/showroom and the remainder open warehouse. The warehouse, built in 1967, is concrete tilt up construction. Clear height is 22'. There is a roll up door on the rear of the building allowing for alley access. The building also has a side yard of approximately 5,000 sq ft, that can be used for storage or future square footage expansion. All utilities are to the site including water, sewer, gas and electricity. Electrical service is 1200A, 240V, 3Ph (buyer to verify). Building has adequate parking on site to meet the city's 2 parking spaces per 1,000 sq ft of building size. The property does have alley access for easy loading and unloading. Zoning on the site is LBIG which is a heavy industrial zoning designation that permits for many uses. Located on the corner of W 15th St and San Francisco Avenue, on a quiet cul-de-sac. The building facade has received several architectural designations from the city of Long Beach. The property has excellent access and is convenient to the 710 and 103 freeways, Anaheim Street and Pacific Coast Highway.